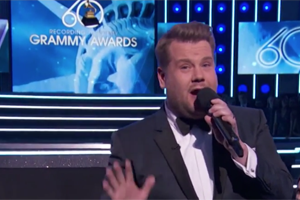 Showing 16 - 30 of 42 articles tagged "The Grammy Awards"
After staging an expensive show in New York City this year, the Grammy Awards will be back at L.
Corden sent his parents, Malcolm and Margaret Corden, to cover the Grammy Awards for his Late Late Show . 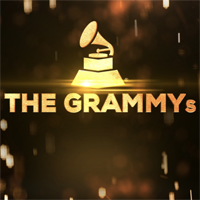 The Grammys fell 24% from last year. From 2003 through 2011, the Grammys went host-less — except for in 2005 when Queen Latifah hosted. "I think it's going to be a moving movement," says the Grammys host.